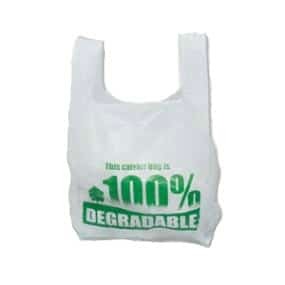 Vest style carrier bags are the kind of bag that you see in supermarkets.They can be produced in a variety of sizes. 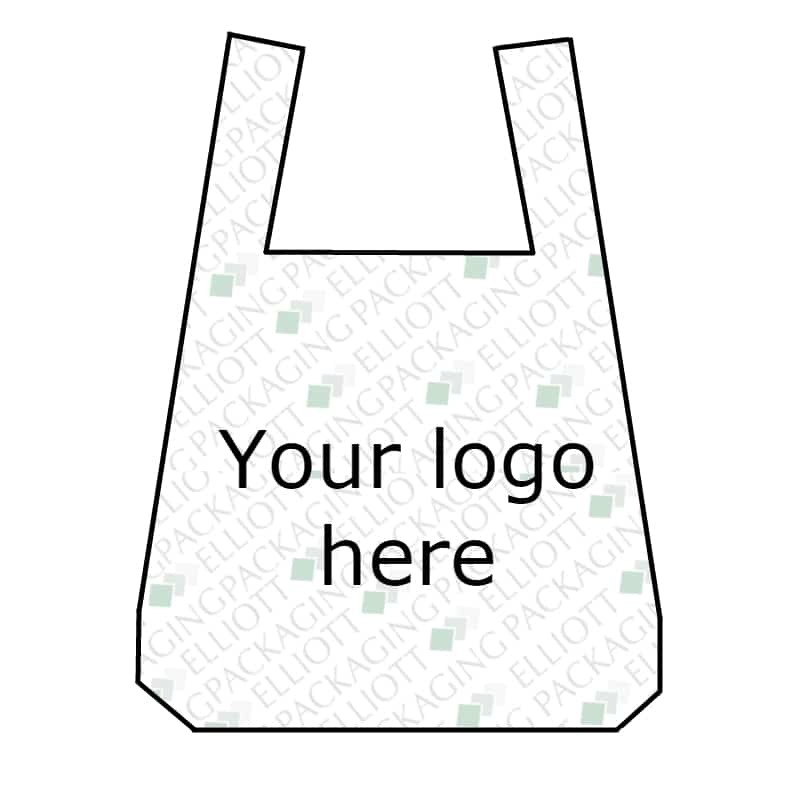 Vest style carrier bags can be supplied in a variety of colours and can be printed to help promote brand awareness. 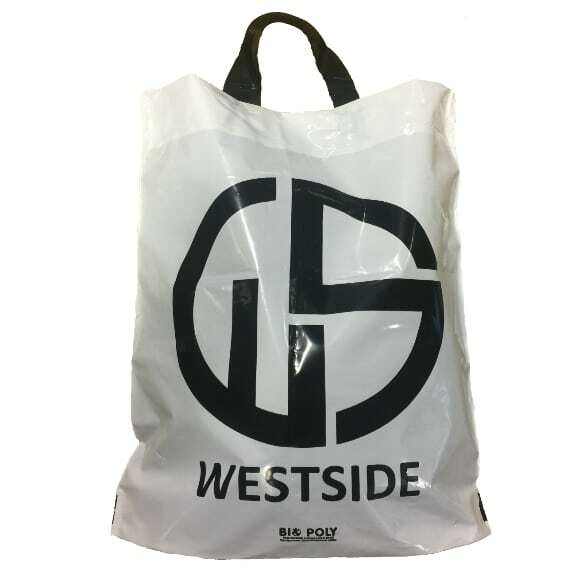 Vest style carrier bags are made from HDPE (high density polythene) and usually come in thickness’s from around 10 – 25 micron. The standard colour is white. Vest style carrier bags can be printed up to three spot colours one side or two spot colors both sides.You are unable to print 100% or process print on these style of bags. 3-4 Weeks from signed off artwork. We offer competitive prices across our full product range. We never compromise on quality, all of our products are put through rigorous quality control checks. All of our products are delivered for FREE in the UK. Why vest style carrier bags? Vest style carrier bags are a super strong bag which makes then ideal for supermarkets and heavy goods. The minimum order for vest style carrier bags are higher than most bags but this is due to the weight of material which needs to be ordered, this does not mean the bag is expensive though, it is in-fact the least expensive of all bags per unit cost. 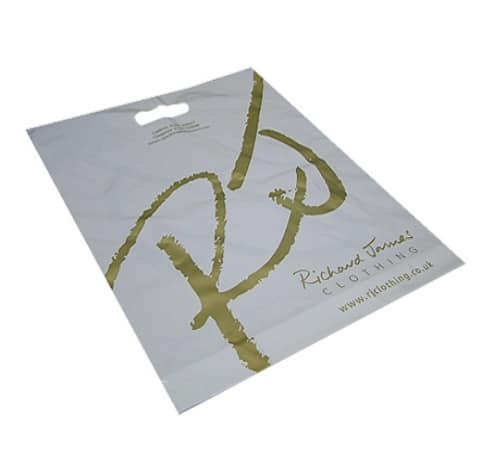 Vest style carrier bags can be printed up to three colours. Vest style carrier bags are packed very well and take up a small amount of storage space.